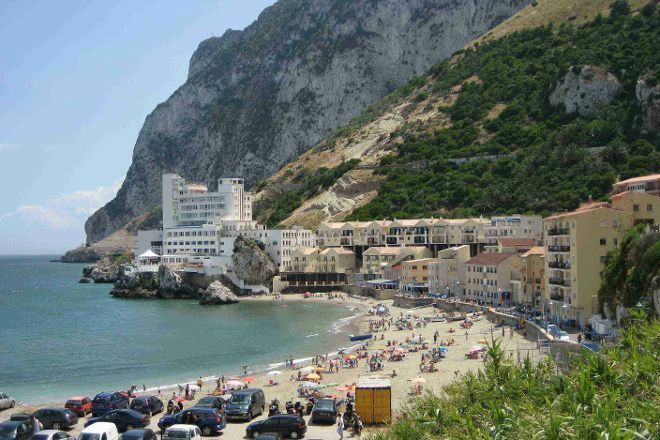 Catalan Bay attracts both locals and tourists with its sandy beach (the second-largest in Gibraltar) and a number of fresh seafood restaurants. This rocky cove was first settled by Genoese anglers in the 18th century. Notice the round-shaped rock protruding into the sea: it reminded the early Genoese settlers of a woman's breast, so they named it "La Mamela." Their descendants still live in the quaint village with a small Catholic church at its center. Every September you can watch a procession leading a statue of the Virgin from the church to the shore during Gibraltar's main religious festival. Take a look at our Gibraltar sightseeing tool to schedule your visit to Catalan Bay and learn about what else to see and do during your holiday. A small and beautiful beach at the foot of the rock. Quiet. Icy waters. Few dining options. Sad, went to see about a kilometer from the beach parking lot, the landfill of Gibraltar a serious problem for a territory so small and with a real estate vertical expansion. A very enjoyable walk along this pretty little harbor/beach, nice cafes, very scenic and romantic with cliffs over looking. Please with myself to make the effort to walk around and explore. Nice, very nice. Every day, we help thousands of travelers plan great vacations. Here are some tips on how to use your Listing Page to attract more travelers to your business - Catalan Bay. Promote your permanent link - https://www.inspirock.com/gibraltar/catalan-bay-a220754955 - on your website, your blog, and social media. When a traveler builds a plan from this page, the itinerary automatically includes Catalan Bay. This is a great way for travelers looking for a great vacation in your city or country to also experience Catalan Bay. Promoting your link also lets your audience know that you are featured on a rapidly growing travel site. 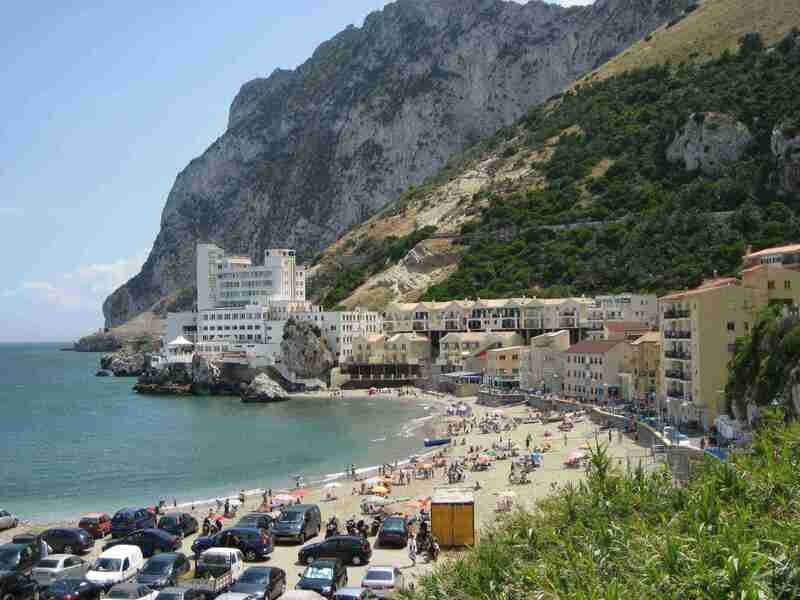 In addition, the more this page is used, the more we will promote Catalan Bay to other Inspirock users. For best results, use the customized Trip Planning Widget for Catalan Bay on your website. It has all the advantages mentioned above, plus users to your site can conveniently access it directly on your site. Visitors to your site will appreciate you offering them help with planning their vacation. Setting this up takes just a few minutes - Click here for instructions.